Oxford is a city and local government district in Oxfordshire, England, with a population of 134,248 ( 2001 census). It is home to the University of Oxford, the oldest university in the English-speaking world. 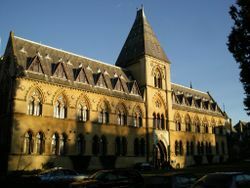 It is known as the "city of dreaming spires", a term coined by Matthew Arnold in reference to the harmonious architecture of the university buildings. 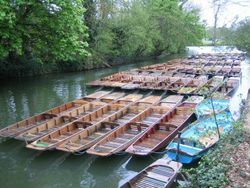 The River Thames runs through Oxford, where for a distance of some 10 miles it is known as the Isis. The Oxford suburb of Cowley has a long history of carmaking and now produces the BMW MINI. Oxford was first occupied in Saxon times, and was initially known as " Oxenaforda". It began with the foundations of St Frideswide's nunnery in the 8th century, and was first mentioned in written records in the Anglo-Saxon Chronicle for the year 912. In the 10th century Oxford became an important military frontier town between the kingdoms of Mercia and Wessex and was on several occasions raided by Danes. St Frideswide is the patron saint of both the city and university. Oxford grew up under the shadow of a convent, said to have been founded by St Frideswide as early as the eighth century. Its authentic history begins in 912, when it was occupied by Edward the Elder, King of the West Saxons. It was strongly fortified against the Danes, and again after the Norman Conquest, and the massive keep of the castle, the tower of St. Michael's Church (at the north gate), and a large portion of the city walls still remain to attest the importance of the city in the eleventh century. West of the town rose the splendid castle, and, in the meadows beneath, the no-less-splendid Augustinian Abbey of Osney: in the fields to the north the last of the Norman kings built the stately palace of Beaumont; the great church of St Frideswide was erected by the canons-regular who succeeded the nuns of St Frideswide; and many fine churches were built by the piety of the Norman earls. The prestige of Oxford is seen in the fact that it received a charter from King Henry II, granting its citizens the same privileges and exemptions as those enjoyed by the capital of the kingdom; and various important religious houses were founded in or near the city. A grandson of King John established Rewley Abbey for the Cistercian Order; and friars of various orders ( Dominicans, Franciscans, Carmelites, Augustinians, and Trinitarians), all had houses at Oxford of varying importance. Parliaments were often held in the city during the thirteenth century, but this period also saw the beginning of the long struggle between the town and the growing university which ended in the subjugation of the former, and the extinction for centuries of the civic importance of Oxford. 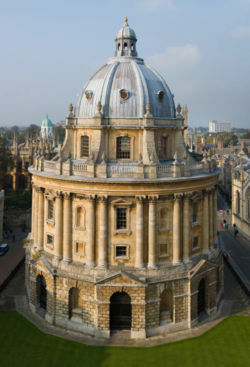 The University of Oxford is first mentioned in 12th century records. Oxford's earliest colleges were University College ( 1249), Balliol ( 1263) and Merton ( 1264). These colleges were established at a time when Europeans were starting to translate the writings of Greek philosophers. These writings challenged European ideology – inspiring scientific discoveries and advancements in the arts – as society began seeing itself in a new way. These colleges at Oxford were supported by the Church in hopes to reconcile Greek Philosophy and Christian Theology. Christ Church Cathedral, Oxford is unique as a college chapel and cathedral in one foundation. Originally the Priory Church of St Frideswide, the building was extended and incorporated into the structure of the Cardinal's College shortly before its refounding as Christ Church in 1546, since which time it has functioned as the cathedral of the Diocese of Oxford. The relationship between "town and gown" has often been uneasy — several university students were killed in the St Scholastica Day Riot of 1355. 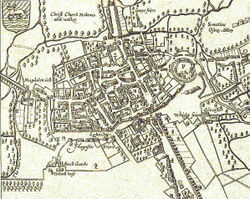 In 1790 the Oxford Canal connected the city with Coventry. The Duke's Cut was completed by the Duke of Marlborough in 1789 to link the new canal with the River Thames; and in 1796 the Oxford Canal company built their own link to the Thames, at Isis Lock. In the 1840s, the Great Western Railway and London and North Western Railway linked Oxford with London. 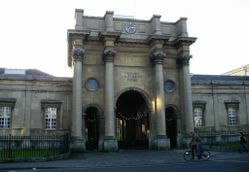 Oxford's Town Hall was built by Henry T. Hare, the foundation stone was laid on 6 July 1893 and opened by the future King Edward VII on 12 May 1897. 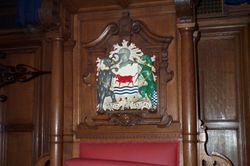 The site has been the seat of local government since the Guild Hall of 1292 and though Oxford is a city and a Lord Mayoralty, it is still called by its traditional name of " Town Hall". 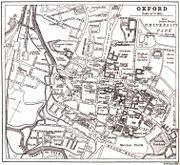 By the early 20th century, Oxford was experiencing rapid industrial and population growth, with the printing and publishing industries becoming well established by the 1920s. Also during that decade, the economy and society of Oxford underwent a huge transformation as William Morris established the Morris Motor Company to mass produce cars in Cowley, on the south-eastern edge of the city. By the early 1970s over 20,000 people worked in Cowley at the huge Morris Motors and Pressed Steel Fisher plants. 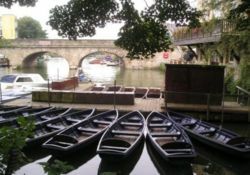 By this time Oxford was a city of two halves: the university city to the west of Magdalen Bridge (from where students traditionally jump into the River Cherwell every May Day morning) and the car town to the east. This led to the witticism that "Oxford is the left bank of Cowley". Cowley suffered major job losses in the 1980s and 1990s during the decline of British Leyland, but is now producing the successful New MINI for BMW. Most local bus services are provided by the Oxford Bus Company and Stagecoach South Midlands and include two competing frequent-interval coach services to London, Stagecoach's Oxford Tube, and Oxford Bus's Oxford Espress, both of which leave from Gloucester Green Bus Station on the western edge of the city centre. The Oxford Tube is reputed by its operator to be the most intensive coach service of its kind anywhere in the world. Stagecoach also runs a half-hourly coach service to Cambridge, and a less frequent service to Northampton, whilst many National Express services between the North and Midlands and the South/South West call in the city. Other local and rural bus services are provided by Wallingford-based Thames Travel. 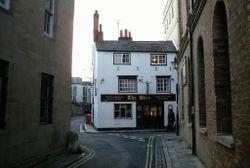 Historic public house, "The Bear". Michael Innes ( J. I. M. Stewart), of Christ Church. Mike Philbin, wrote his infamous Hertzan Chimera novels/stories in Oxford. Jude the Obscure (1895) by Thomas Hardy (in which Oxford is thinly disguised as " Christminster"). 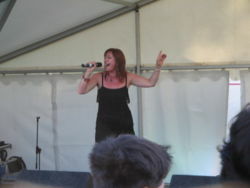 Radiohead, debated, as all but one member came from Abingdon. Oxford's latitude and longitude are 51°45′07″N, 1°15′28″W (at Carfax Tower, which is usually considered the centre). Despite stereotypes of Oxford being a conservative city, there are no Conservatives on the city council. Since the 2004 local elections, the council has been in minority administration, first by councillors from the Labour Party, with the Liberal Democrats being the official opposition, and since 2006 with these roles reversed. With 8 city councillors and 5 county councillors, Oxford is one of the UK cities with highest Green Party representation. The Independent Working Class Association also has councillors, mainly elected to serve wards with many housing estates in the south east of the city, such as Blackbird Leys and Wood Farm. See Oxford Council election 2004 for further information. The two MPs are Andrew Smith from the Oxford East constituency, erstwhile employment minister in the Labour government; and Dr Evan Harris from the Oxford West and Abingdon constituency, sometime Liberal Democrat spokesperson on health. 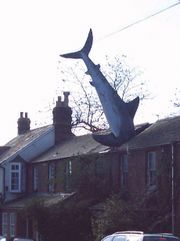 At the 2005 general election, Oxford East became a marginal seat with a Labour majority over the Liberal Democrats of just 963. Oxford West & Abingdon is a safe Liberal Democrat seat with Dr Harris enjoying a majority of just under 8,000. Unusually for a compact urban district, Oxford has four civil parishes with parish councils — these are Blackbird Leys, Littlemore, Old Marston and Risinghurst and Sandhills.